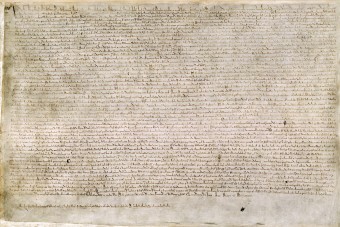 The Magna Carta is one of the most famous and revered documents in the world. It’s the basis of many future legal documents ensuring individual rights and accountability of those in power. For a declaration that was intended to apply to the elite as a practical measure to solve a temporary problem, its staying power and influence has been remarkable. The spark that led to the Magna Carta occurred on May 12, 1215 when King John’s nobles rose in rebellion against him. King John took the whole “divine right of kings” thing very seriously. He taxed his barons to the point of extortion and doled out royal justice as he saw fit until his misrule became unbearable. Rebellion against English kings was nothing new, but this was one of the few times its purpose wasn’t wholly a power grab to get a specific new claimant on the throne. In this instance, the barons meant to end King John’s oppressive system of government. In January 1215, a large group of them pledged to “stand fast for the liberty of the church and the realm,” and by May the King was backed into a corner. 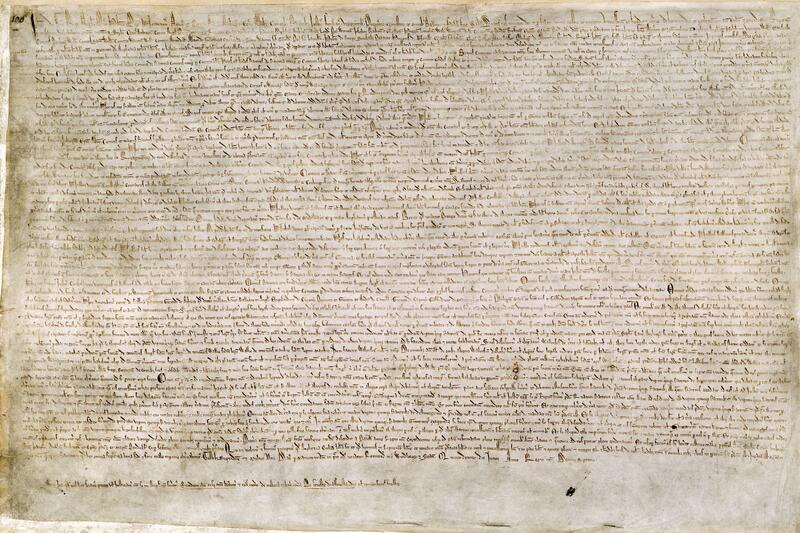 The Magna Carta was based on other charters granted by past English kings, particularly King Henry I in 1100. He promised to rule justly, grant the Church more financial autonomy, and reduce royal interference in noble marriages and inheritances. These were mainly empty promises, but they served as an outline for the barons in 1215. There was one crucial difference – the document of 1100 was an offer from a king to his nobles. The document drafted in 1215 was presented as an ultimatum from the nobles to their king. Its original intent was not, as was commonly believed up through the 19th century, to ensure the liberty of all of the King’s subjects, but to serve as something of a peace treaty between the King and the barons and lay out how the two sides could interact with one another from a legal standpoint. It did not include protection for non-free subjects such as serfs, who made up a large percentage of the individuals under these rulers. However, it ultimately failed to prevent war between nobles as neither side followed the stipulations laid out in the document. Fighting broke out in September of 1215. Further, although John signed the Magna Carta, he immediately wrote to Pope Innocent III, whining about how he only did this under extreme duress. The Pope annulled the Magna Carta and excommunicated all the rebels. However, in 1225 the new king Henry III introduced an abridged version as his coronation charter. Ultimately, the Magna Carta contained legal elements that still exist today, but instead of primarily pertaining to Kings and barons and others of the elite class, it evolved into the development of laws between rulers and all their subjects, however low one’s station may be. It paved the way for the United States Bill of Rights and the Universal Declaration of Human Rights, as well as the prevalent idea that no-one should be above the law.